Information is the critical fuel that powers any negotiation. As a negotiator, you have an obligation to gather as much information as possibleprior to a negotiation starting as you possibly can. There are a number of different ways to collect this information. The most common ways include talking with people who have negotiated with the other side in the past and taking a look at the other side’s press releases. Using information sources like these can provide a fairly well-rounded view of the other side of the table. However, as negotiators we need to realize that we are not going to be able to get everything that we need. As we enter into the negotiation we need to be aware that no matter how much research we have been able to do, we will not be able to get all of the answers that we’d like to have. What this means for us is that we realize that our collection of information does not stop before the negotiations start, rather is is only starting. In order to try to collect the information that we are missing when a negotiation starts we need to use our negotiation styles and negotiating techniques to start to ask the other side questions. If it is at all possible out goal has to be to ask the other side what are called “open ended questions”. These are the types of questions that the other side will not be able to answer with a simple “yes” or “no”. Instead, they are going to have to go into some detail in order to create a response. This kind of detail may provide you with the information that you are going to need in order to get the answers to your outstanding questions. This all leads up to a tricky tactic that is used all too often in negotiations. The challenge that the other side has is that they have information that they would like you to get. There can be many different reasons why they’d like you to get this information. One of the most common reasons is because the information is either wrong or incorrect. If they can get you to accept this information as being valid, then they will have gained negotiating power over you. In order to get you to accept the information that they want to pass on you without looking like they gave it to you, they may arrange for you to just “find” it. There are a number of different ways to make this happen. 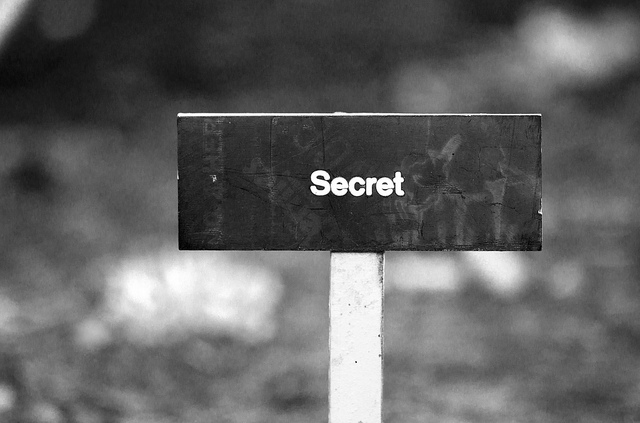 The most common is to place a piece of paper with the “secret” information on it in a public place such as on their desk or on a pile of their negotiating materials. Then they create a reason for them to leave the room. It is only natural that while they are gone, you will look around in your environment. You will discover this paper and even if you have to read it upside down you’ll recognize the value of its information. Mission accomplished by the other side! What we need to realize as negotiators is that in real life rarely do we ever get this lucky. What this means for you is that if you find yourself in a situation where all of a sudden there is some information that you normally would not have access to that has just fallen into your lap, you need to be careful. Yes, it could be legit; however, you could also be getting set up. If something like this happens to you, you’ll need to do two things. The first this is what you would do anyway. You need to collect all of the information that you have been provided with. Make sure that you don’t end up with partial information. Your next step is the critical one, Now you have to find a 3rd party that can verify some or all of the information that you have been provided with. You need someone else to let you know that what you have learned is legit or otherwise you won’t be able to use it. Negotiating could be considered to be the art of using information. Before we enter into a principled negotiation we need to take the time to collect as much information as we possibly can. That’s when things can get interesting. The other side of the table may want to pass information on to us that they don’t want us to realize that they are providing to us. There can be many different reasons for them doing this, but passing on incorrect information is the most common one. When we come across information that we should not have, we need to treat it with care. We have to find a 3rd party that will be able to confirm some or all of what we have learned. If we can get this kind of confirmation then we can use the information that we now have, otherwise we’ll have to leave it alone. The information that we have when we are negotiating drives our decision making process. What this means is that if we happen to stumble across some privileged information, then we need to treat it with care. Double check it to make sure that you’re dealing with legit information and don’t allow it to take your negotiating power away. Question For You: Do you think that there is any way that you can get the other side of the table to confirm any of the special information that you have discovered?